We all have that super cool, fun, creative friend who we go to when we need a little artsy inspiration for a project …or just a good laugh. For me, that girl is Kristen Folzenlogen, the owner of Poeme in Hyde Park. I don’t get to hang out with her nearly enough, but I love being around her. She always knows about some new hip company starting up or new product line… and I love visiting her store. She always has kitschy little gifts, the funniest cards, oh, and the BEST window displays. 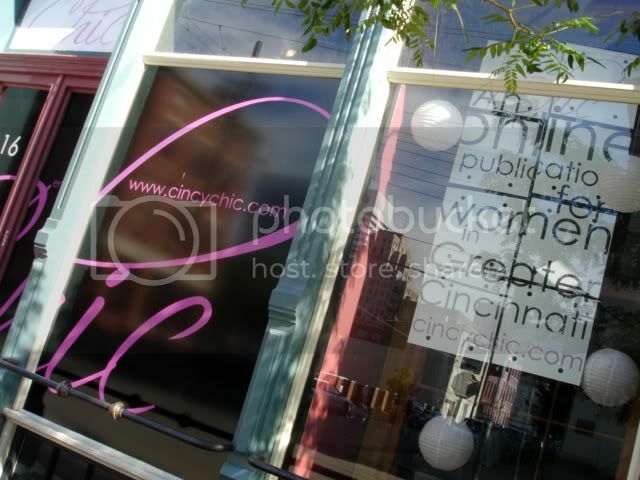 Kristen actually helped me design the Cincy Chic window display at our office in the Gateway Quarter! A while back, Kristen told me about this new company called 1154 Lill Studio, which makes custom cloth handbags. We did a story on them a few months ago, and our readers loved it. 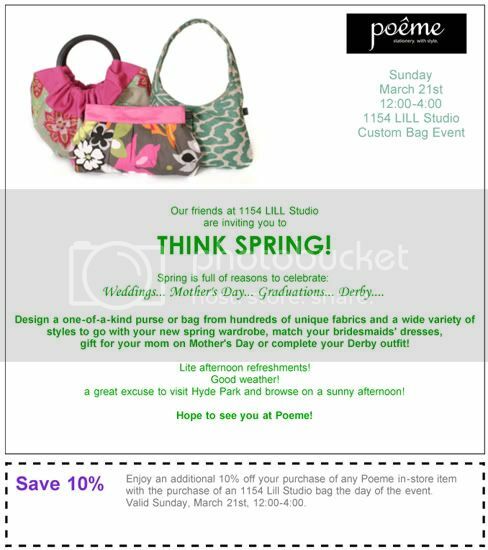 So, when I got an email from Kristen and Poeme about Lill Studio having a sale at Poeme, I thought I’d tell you about it! Especially since there’s a 10% off coupon! Mother’s Day is coming up!